The Saudi Public Prosecutor has said the Kingdom's court is holding its first session for eleven suspects involved in the Jamal Khashoggi murder case, according to the state news agency SPA. During the court session, the prosecutor asked for death sentences to be handed to the five suspects accused of killing Khashoggi. "The first meeting of the criminal court was held in Riyadh in the case of those accused of killing Jamal Khashoggi, there were 11 of them. The meeting was held in the presence of lawyers under Article 4, the General Prosecutor's Office demanded the implementation of the Sharia criminal law against the detainees, and the death penalty for five of them for the involvement in the murder," SPA cited the country's prosecutor-general's office as saying. This development comes after the Saudi Foreign Ministry said in a statement in mid-December that Riyadh rejects the position of the US Senate, which blames Saudi Crown Prince Mohammed bin Salman for the murder of Khashoggi. 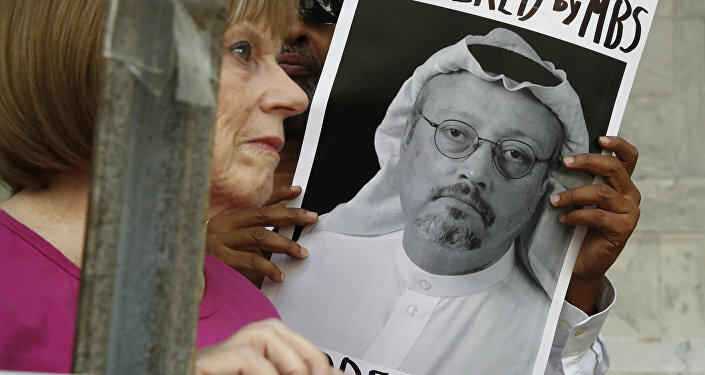 A Washington Post columnist, Khashoggi went missing on 2 October after entering the Saudi consulate in Istanbul. Saudi Arabia's acknowledgement that Khashoggi had been killed inside the consulate came after two weeks of denial and growing pressure from Western allies to provide an explanation. On 26 October, the Saudi Prosecutor General acknowledged that the journalist's murder was premeditated. However, Riyadh maintains that the killing had nothing to do with the Saudi royal family, describing it as a rogue operation.